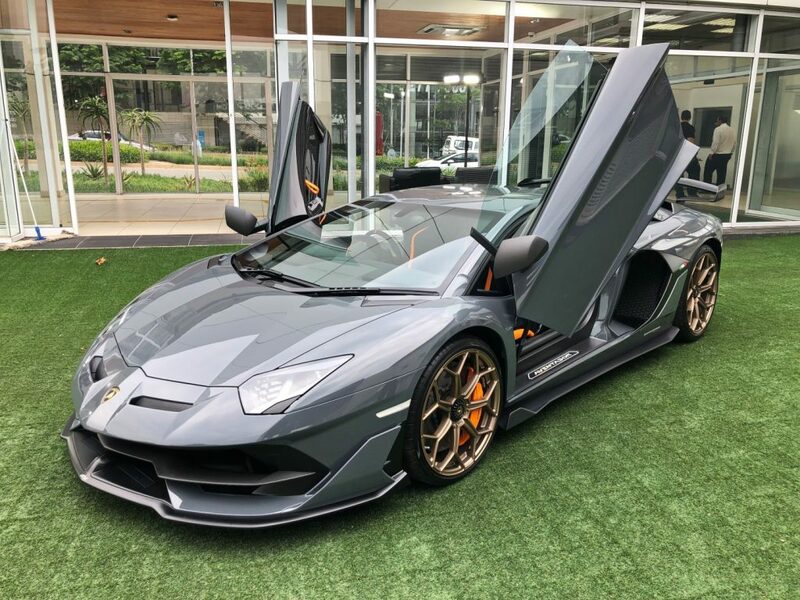 According to Lamborghini, they have never shied away from challenges, which is precisely why they built the Aventador SVJ. 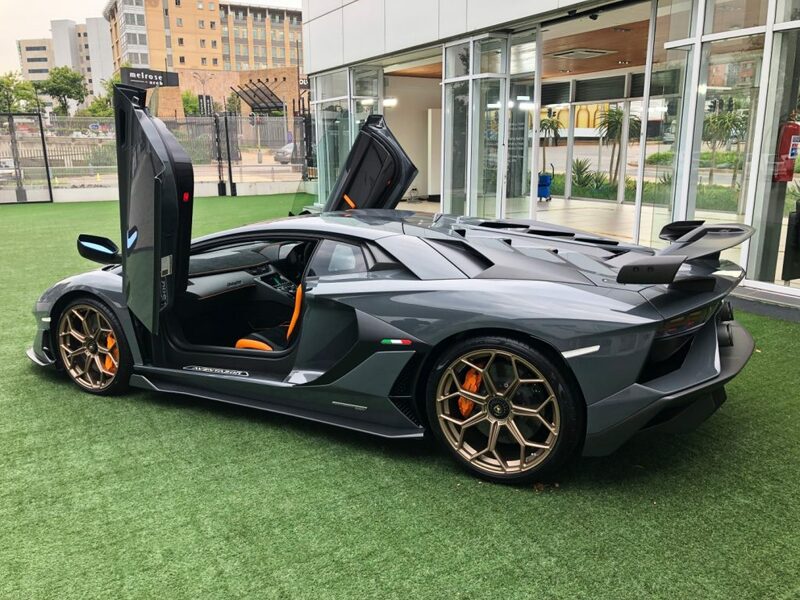 Well this naturally aspirated V12 raging bull has just arrived in South Africa and we were lucky enough to get a look at it. 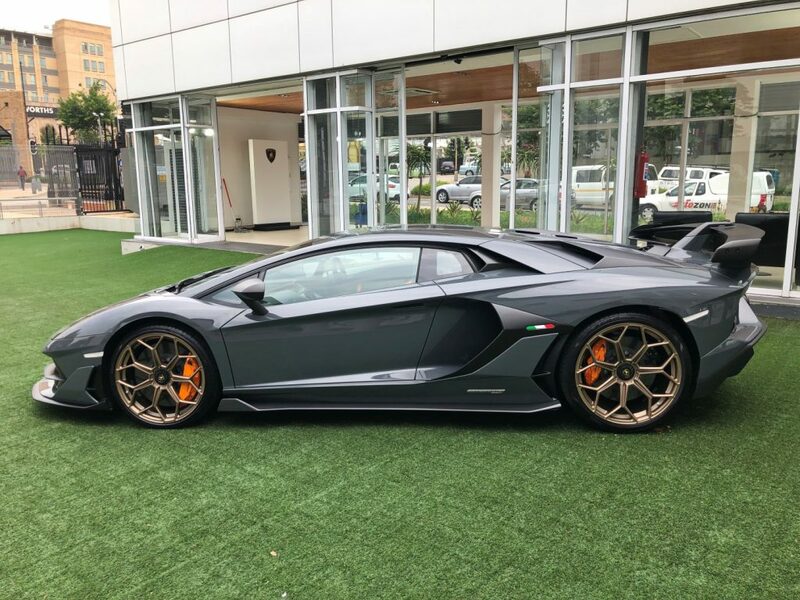 The first unit in South Africa is finished in Grigio Telesto and sits on the Leirion forged bronze wheels. Inside it has Ad Personam spec with Nero Cosmus contrasted by Arancio Leonis to match the orange calipers. 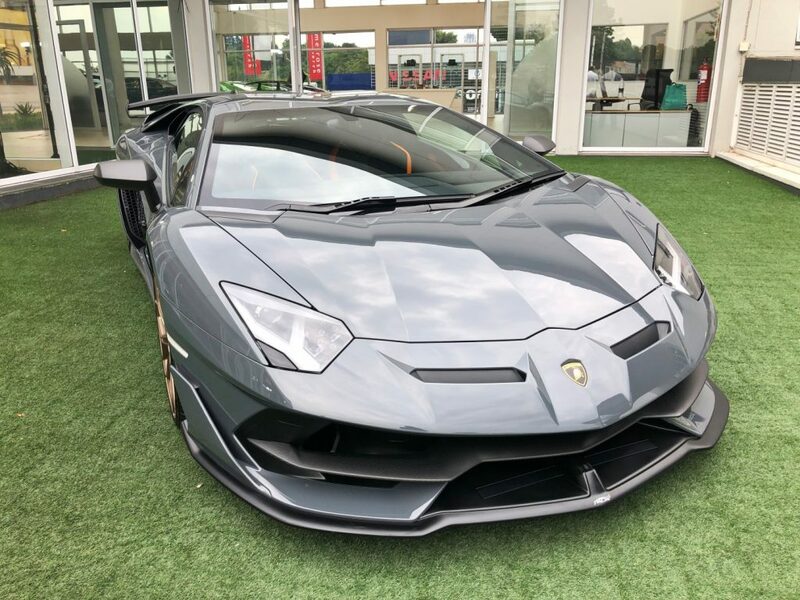 The good news is that there has been a price drop from the original base price of R10,950,000 to more “reasonable” R9,695,000. 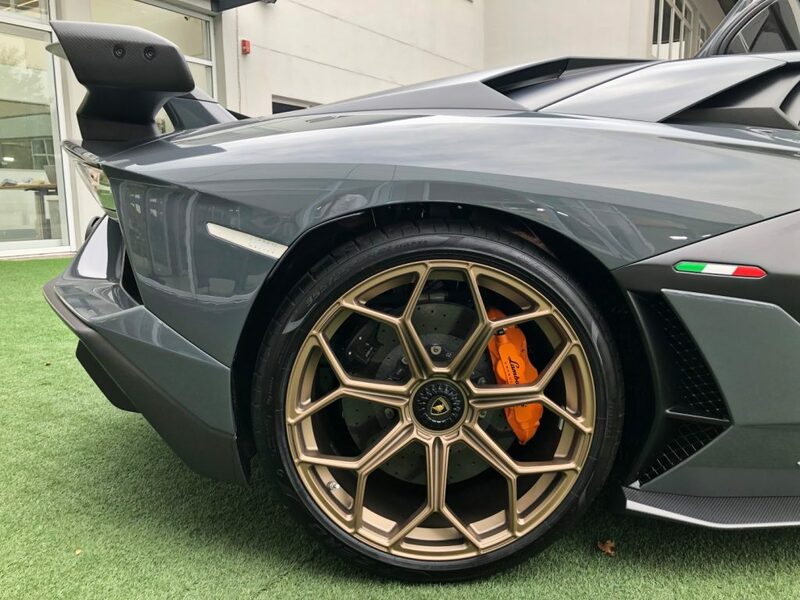 As a reminder the SVJ packs a 6.5-litre V12 pushing out a whopping 759 hp (566 kW) and 720 Nm of torque. 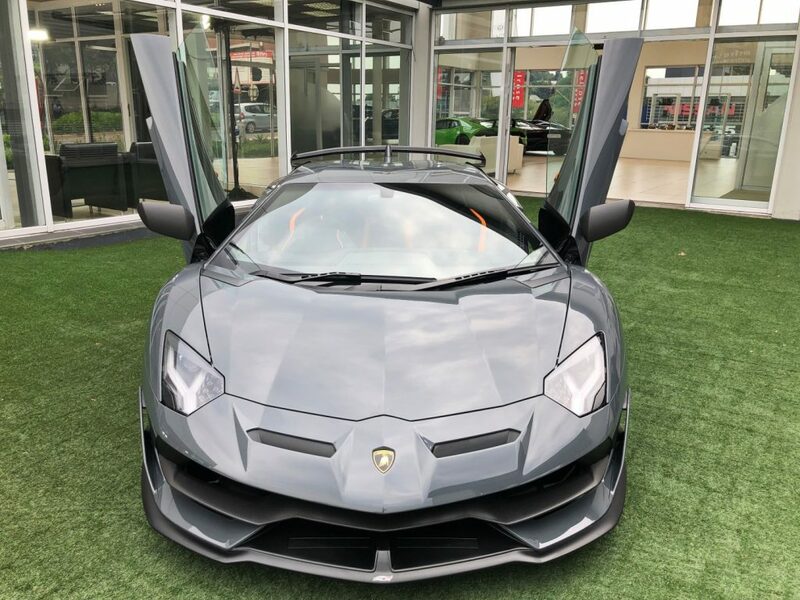 This will rocket the supercar to 100 km/h in just 2.8 seconds and run to a top speed of over 349 km/h. 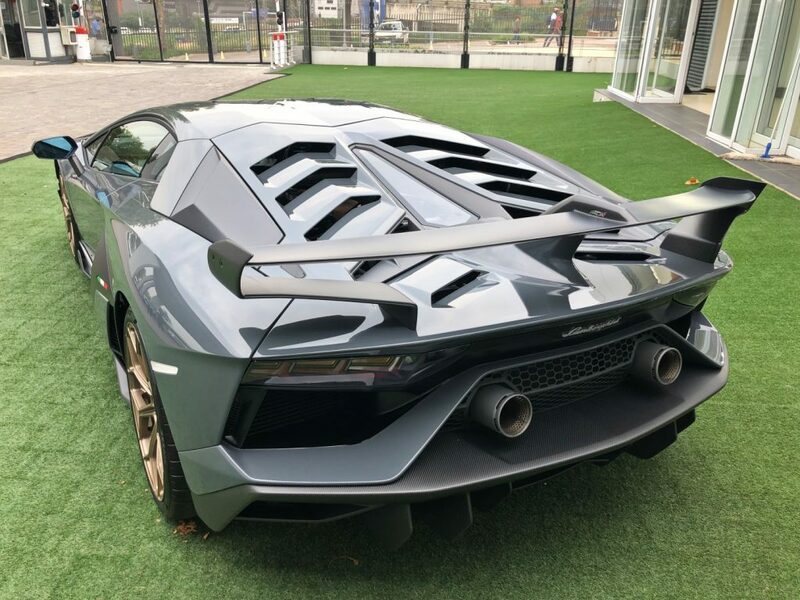 The Aventador SVJ is the first production V12 Lamborghini model to feature Lamborghini’s Aerodynamica Lamborghini Attiva (ALA) system. This allows the car to achieve 40% more downforce than the Aventador SV and 1% reduction in the coefficient of drag. 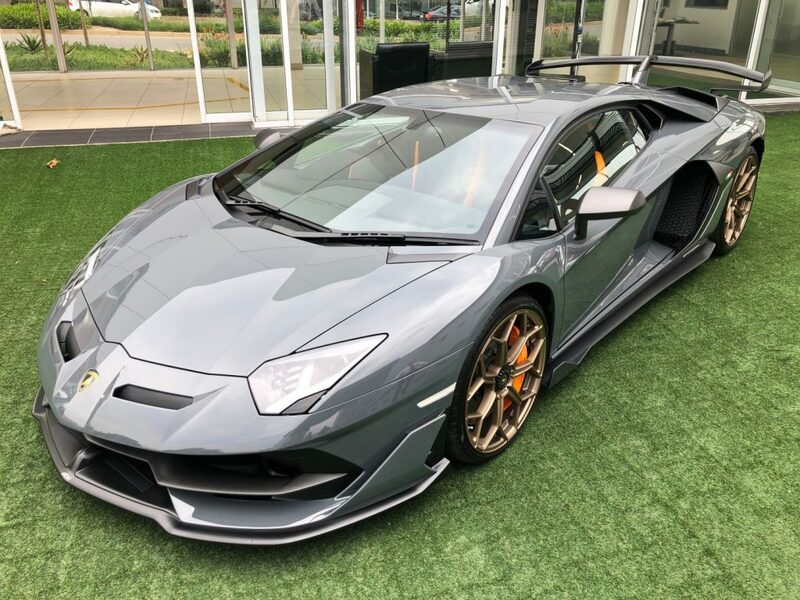 The system adds aerodynamic components to the car including a disconnected front splitter, tri-dimensional air outlet on the bonnet, a large carbon fibre rear wing with a central fin, underbody aero design with vortex generators, and a large rear diffuser. 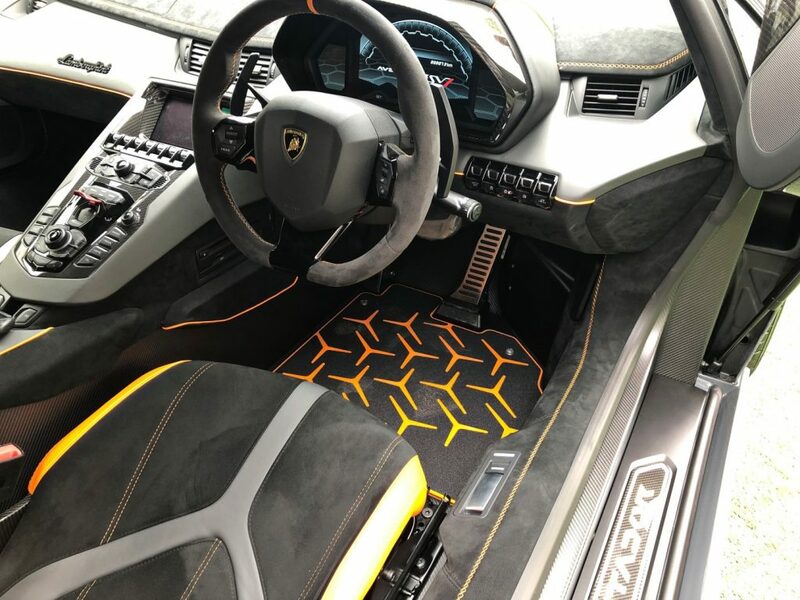 The system works in conjunction with Lamborghini Dinamica Veicolo Attiva 2.0 (LDVA 2.0) management system, which uses inertial sensors to control the car’s aero in 500 milliseconds. 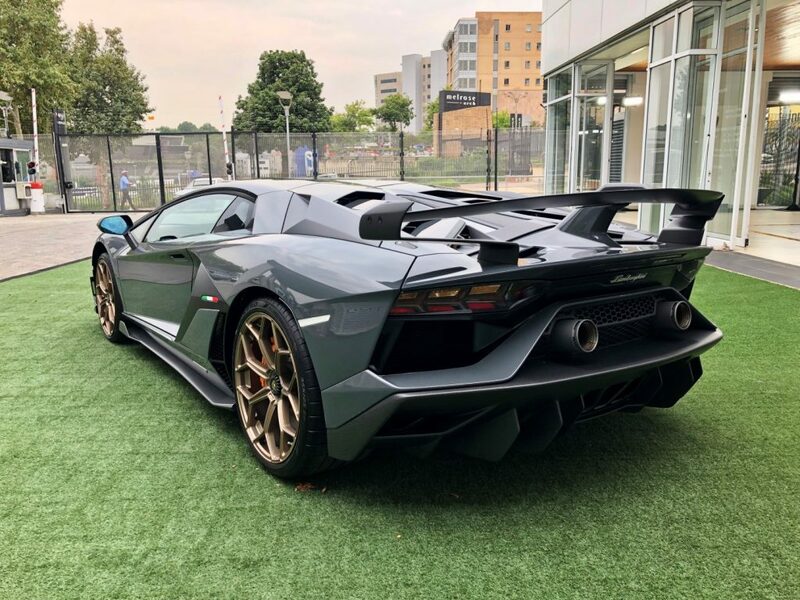 There is also a SVJ Roadster version coming which will be built in limited numbers (likely 900) and will carry a premium of around R800,000 over the Coupe. This is likely to be revealed at the Geneva Motor Show next month. There will only be 900 in the world with very few headed for South African shores.